As the first release of 2019, Holodeck is proud to introduce intrepidly captivating Los Angeles-based singer-songwriter Virgin Pool with the annoucement of her new EP, Endless Evenings out April 19th, 2019. Following her appearance on 2018's Holodeck Vision One compilation with "Cloak and Dagger", multi-instrumentalist Virgin Pool aka Christine Aprile returns with a reflective and highly personal debut. Through the graceful arrangement of acoustic guitar, minimal electronics and layers of softly encompassing vocals, Aprile reckons with the magnificent and turbulent landscape of her own transient world. 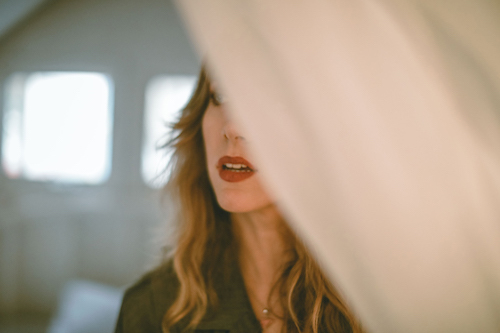 Her poetic deconstruction of desire and the Self gracefully accentuates the vulnerable tenor of Endless Evenings and cements the arrival of Virgin Pool as a profoundly gifted musician and songwriter.